A simple eye exam can reveal a lot about your health, helping doctors diagnose existing conditions or to spot indicators before there’s even a problem. Dr. Kostadinka Bizheva is advancing medical care by bringing high resolution imaging technology to Optical Coherence Tomography (OCT). At her research clinic at the University of Waterloo, she and her team are researching how to take OCT beyond detecting common eye diseases like glaucoma and macular degeneration. 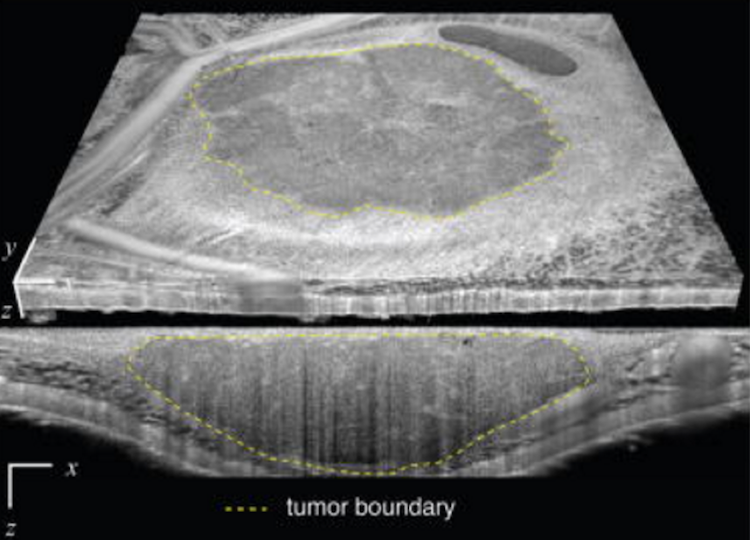 OCT is a non-contact, non-invasive imaging technique that relies on visible wavelengths to capture detailed images of biological tissue for diagnostic purposes. For these reasons, it’s perfect for looking at eyes, which are sensitive. 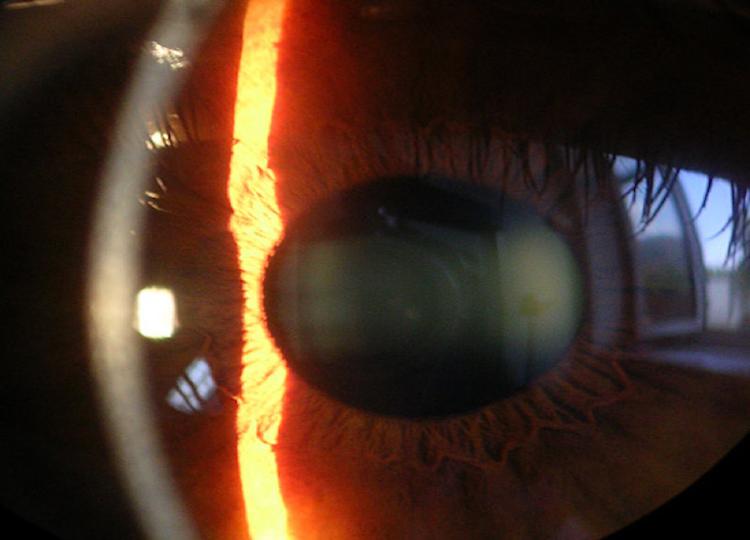 Patients no longer have to avoid their optometrist with fear of poking and prodding. Using low-coherence interferometry, OCT penetrates below the surface of most tissues, achieving depths of up to two micrometers. OCT systems record both depth as well as a cross-section of linear profiles to obtain complex three-dimensional data. This makes it an ideal tool for medical specialties that deal with fine-detailed organs like that of ophthalmology, dermatology or cardiology. While most commercially available OCT systems allow for an incredible amount of detail, Dr. Bizheva and her team have gone one step further. The research group has looked to companies like Teledyne Dalsa for industry-leading imaging technology in order to achieve more efficient and accurate results. By applying wide-spectrum light sources and high-speed, high-resolution line scan cameras, they’ve created spectral-domain (SD) and ultra-high resolution (UHR) OCT systems. In this case, Dr. Bizheva’s weapon of choice is a TDI line scan camera that is able to detect in the Near Infrared (NIR). It’s a novel approach to OCT and is allowing the research team to generate sub-cellular images inside the biological tissue and in turn, help clinicians diagnose even more diseases and monitor treatment in new ways. In a presentation to the Centre for Bioengineering and Biotechnology at the University of Waterloo, Dr. Bizheva reinforced the value of UHR-OCT within various pockets of medicine. Removing brain tumors is one. Recognizing where cancerous tissue ends and normal brain tissue begins is a major challenge during surgery. And the stakes are high. Removing healthy brain tissue could have catastrophic consequences for patients, causing neurological problems. On the other hand, leaving diseased tumor tissue behind can allow the cancer to spread. Studies have shown that at least 70 per cent of a brain tumor needs to be removed to improve survival, with odds further improving with every extra 5 per cent removed. With quick, high-resolution, non-invasive OCT imaging, neurosurgeons can analyze the structure of brain tumors and differentiate healthy grey tissue from cancerous matter–increasing chances of a successful surgery. 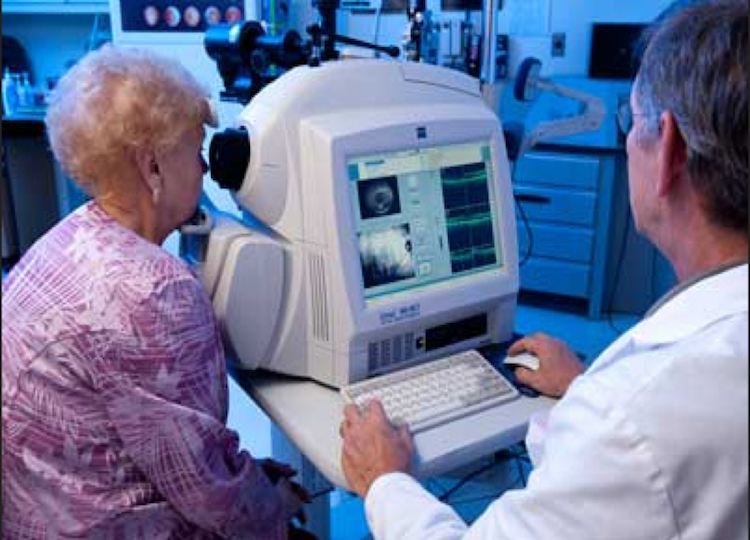 Using the same tool, Dr. Bizheva can look at the optic nerve head behind the eye to determine the direction, profile and quantity of blood flow during a specific period of time. This can help with the diagnosis of vascular diseases like stroke and diabetes, and neurological diseases like multiple sclerosis. UHR-OCT not only improves access to these hard-to-reach areas to perform more reliable diagnoses, it does so without the use of penetrating instruments. In a 2016 study, Dr. Bizheva and six other researchers used UHR-OCT to identify and examine in vivo the thickness of the cornea’s six external layers: the Epithelium, Bowman’s Membrane, Stroma, Acellular pre-Descemet’s Layer (PDL) or Dua’s Layer, Descemet’s Membrane, and Endothelium. This was the first research of its kind to capture in vivo imagery and structural analysis of the PDL, which was just recently recognized as its own distinct layer. 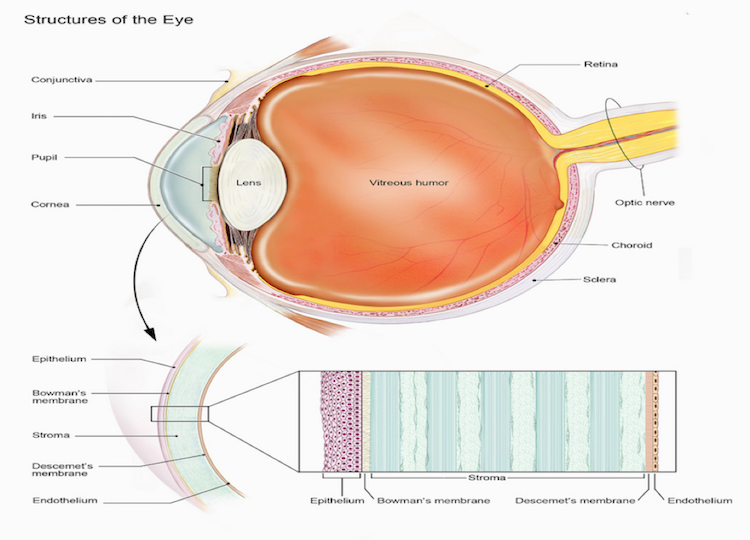 This type of information will be valuable for surgeons in understanding the physiology of the cornea and the PDL’s specific use. It’s a multidisciplinary approach that draws on the expertise of Dr. Bizheva and the other clinicians working within the Centre for Bioengineering and Biotechnology as well as the researchers at the Vision and Image Processing Lab at University of Waterloo. They’ve also collaborated extensively with hospitals across Canada and internationally. As a fairly new medical practice, UHR-OCT has a long way to go before we will realize its full potential. As the imaging technology advances so will OCT more generally, ultimately helping to broaden our understanding of the human body. With researchers like Dr. Bizheva already committed to the cause, we can be sure this sophisticated imaging system will continue to break new ground.